By Kgothatso Mokoena, World YWCA Programme Associate. 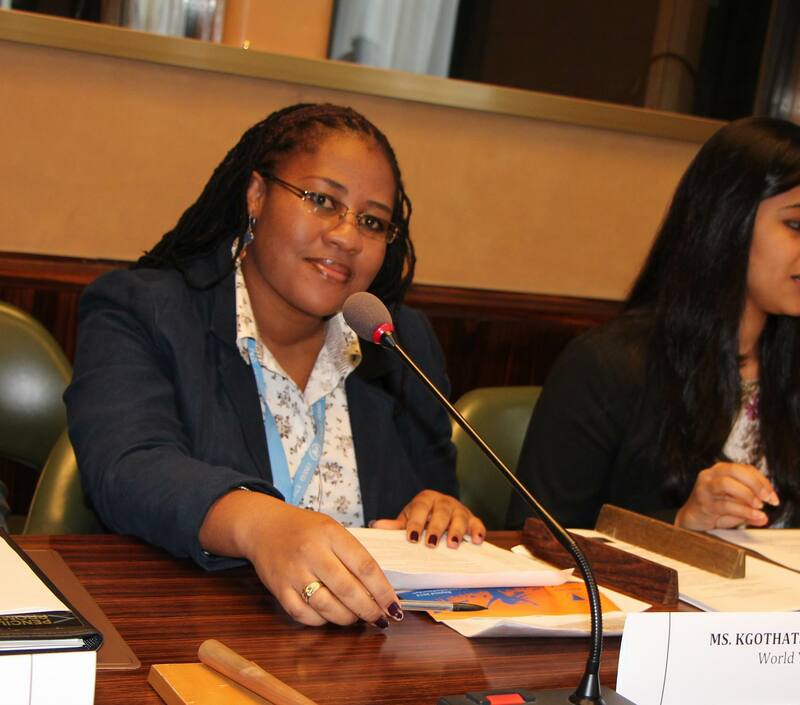 Kgothatso was part of the World YWCA delegation during the 24th Session of the Human Rights Council. The General Assembly adopted the plan of action for the first phase of the World Programme in July 14, 2005. The plans had concrete strategy and practical guidance for implementing human rights education nationally and promote a holistic, right based approach to the education system that includes both Human rights through education. Mr Christian Courtis, Human Rights Officer, Human Rights and Economic and Social Issues Section, OHCHR said; For girls and women living in poverty, education is not only the key to a brighter future it is also a key to survival. Using education as a primary strategy, could harness the potential of girls and women to learn, lead and act on their vision of change for themselves, their families, and their communities. Due to poor or lack of education: Women in Sub-Saharan Africa are more than 1.5 times as likely as men to contract HIV, Millions of women in America have difficulty understanding practical health information, More than 10,000 girls a day will get married before they turn 15, More than 60% of the 110 million children out of school are girls, One in three women and girls in the developing world live on less than $2 a day. Educated girls and women are less vulnerable to HIV infection, human trafficking and other forms of exploitation, are more likely to marry later, raise fewer children who are more likely to go to school, and make important contributions to family income. Mr Wolfgang Benedek of the European Training and Research Centre for Human Rights and Democracy, Graz from Australia shared through an informative film screening “A path to Dignity” a film which demonstrates the power and impact of human rights Education, shares successful practices and projects in India, Australia and Turkey illustrates the power of human rights education in transforming people’s lives and empowering individuals to make a difference in their communities (www.path-to-dignity.org). I found it very interesting, but the question remains; how many women and girls have access to it? In all discussion few acknowledge that technology is still a challenge to some, and millions may not even get to read this powerful manual or download the film. It is therefore essential that in human rights education activities to ensure; Continuity of the implementation of all phases of the World Programme for Human Rights be maintained, the accountability of states for human rights education be clear and all relevant efforts for human rights education by all actors be integrated.